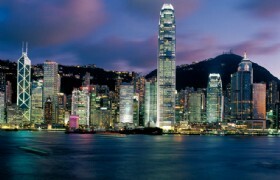 Enjoy 6 days of the most fantastic and famous attractions and interesting locations in Hong Kong, Shenzhen and Macau. Magic and fun day in Disneyland. 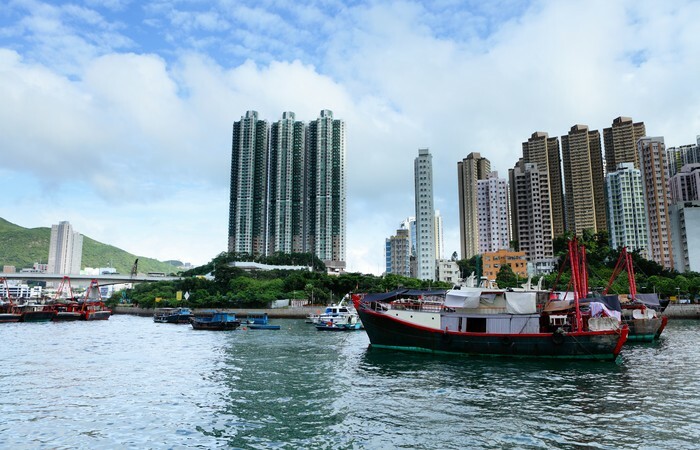 Detailed Itinerary: Arrival in Hong Kong airport by flight C1680 Jakarta-Hong Kong (0625-1225), take ferry from Hong Kong airport to Shekou Ferry Terminal in Shenzhen. 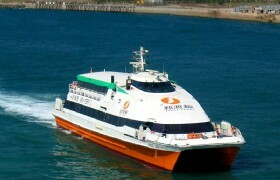 Our tour guide will meet you at Shekou Ferry Terminal. Pickup and transfer to Luohu Shopping Mall, a famous shopping place for locals. Later in the late afternoon, transfer to hotel to check in. Please go to CKS ferry counter at E2 on the Level 5, Arrival Hall, Hong Kong airport. 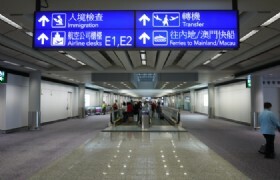 Pickup your check-in luggage from Shekou Ferry Terminal, pass custom and immigration. Our tour guide will hold a name sign, standing at the exit of immigration. Immigration procedure is not required. Please go to CKS ferry counter in the airport. Enjoy approx. 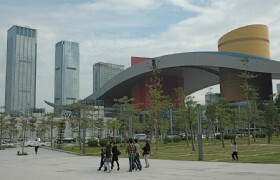 2 hours at Luohu Shopping Mall will give you opportunities not only to shop bus also to bargain. Remember to bring adequate cash and an extra pair of help hands. Detailed Itinerary: After breakfast you will visit the Lotus Peak, Civic Center and Window of the World. For lunch a Muslim meal is organized. 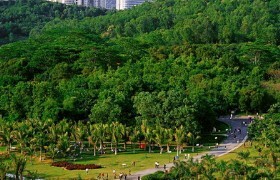 Lotus Peak is located in a public park in downtown Shenzhen, it has a number of nice features, including a monumental statue of Deng Xiaoping standing on the summit. Deng is well known as The Father of Shenzhen. Shenzhen government building, most recognizable landmark of Shenzhen. It houses the City Hall with 26 government agencies, as well as an exhibition center, a shopping mall, conference center and the interesting Shenzhen Museum. The audacious looking city hall has a sweeping roof supposedly resembling traditional Chinese architecture and a bird in flight, as a symbol of the city’s upward growth. 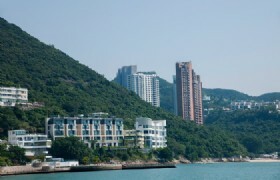 Detailed Itinerary: After your hotel breakfast you will take a ferry to Macau where you'll start your one day city tour. 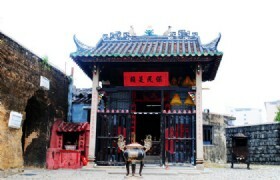 You will first visit the Ruin’s of St. Paul’s, Mount Fortress, Section of Old City Walls and Na Tcha Temple. You will have duty free shopping stop. 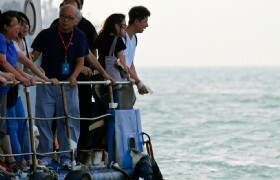 Later in the afternoon, take ferry to Hong Kong. Pickup from the ferry terminal and coach transfer to hotel. 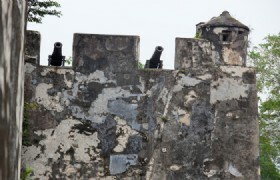 The fortress was Macau's principal military defense structure which was built conjunction with the Jesuits form 1617 to 1626. 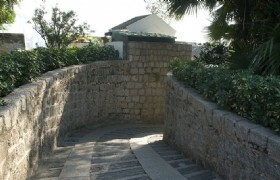 This surviving segment of City Wall was built in 1569. It is a remnant of an early Portuguese tradition of constructing defensive walls around their port settlements. 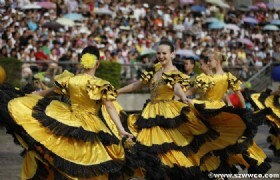 It has became a World Heritage in 2005. Built in 1888, this temple is dedicated to the worship of Na Tcha. This small traditional Chinese temple stands close to the remains of the principal Jesuit enterprise of the region, presenting a dialectic of western and Chinese ideals, as one of the best examples of Macau's multicultural identity and religious freedom. 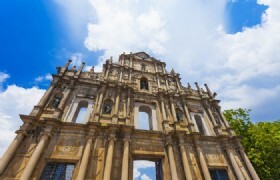 The temple is one of the top places listed on Macau's sightseeing list. Pick up hotel lobby after breakfast , visit Aberdeen village, Victoria peak, with one way tram, (Optional: Madame Tussaud's), Jewellery Factory, pray at Kowloon mosque. Free time shopping on Ladie' Street. Take coach to summit (Mid Level) to have a bird eye view of Hong Kong. Kowloon Mosque is the largest and the most important Islamic Mosque in Hong Kong. Located on the bustling Nathan Road in the southeast corner of Kowloon park, the Kowloon Mosque caters to the more than 50,000 Muslims in the territory, half of whom are Chinese. Built in 1984, served for the British Army’s Indian Muslim Troops, the mosque with its grand white dome and minarets stands out on the Golden Mile and the mosque is especially interesting to visit on Friday lunchtime. But visitors are unwelcome unless they obtain special permission in advance. 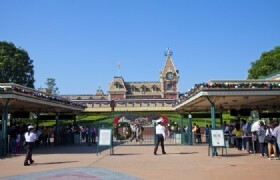 Detailed Itinerary: Hong Kong Disneyland Park whole day tour. After enjoy the fireworks at 21:00, you will be transferred to your hotel. 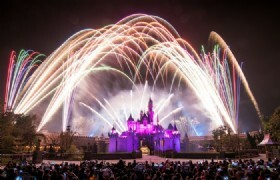 Hong Kong Disneyland is located on the Lantau Island of Hong Kong. The park opened to visitors on 12th September, 2005. The park consists of six themed areas: Main Street, USA, Fantasyland, Adventureland, Tomorrowland, Toy Story Land and Grizzly Gulch. The park currently occupies 22.4 hectares and will be expanded to 27.5 hectares when the 2 new themed areas are completed. Detailed Itinerary: After your hotel breakfast you are free fore leisure. 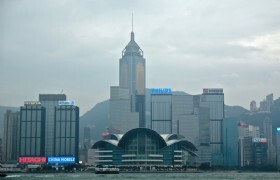 You will then be transferred to Hong Kong airport for return flight back home. If you take evening flight, we recommend you to go to a to a big Shopping Mall near airport - CityGate Outlets. Our airport counter service time is from 07:00 to 23:00. The location is counter B01, arrival hall. Please show your passport to redeem your bus ticket here. Our staff will help you. If your arrival flight time is earlier before 07:00, or later than 23:00, please arrange your airport/hotel transfer by yourself. The extra cost for airport to hotel private transfer by a 7-seater van working between 2300 to 0700 is USD110 one way. The taxi fare is about USD60. Please notice this extra tranfer fare will be paid by you. We will pick you up from the lobby of Rosedale Hotel Kowloon. 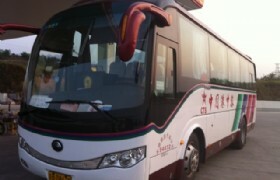 The airport shuttle bus depart time is: 11:55, 12:55, 13:55, 14:55, 15:55, 16:55. The driving time is 45 minute, so you should take a bus 3 hours prior of your flight depart time. If your flight time leaving Hong Kong is before 15:00, we recommend you to take MTR to Kowloon Station, then take Airport Express Train. Your hotel is in 10 minute walking distance from Exit B of MTR Olympic station. The optional ticket fare for MTR and Airport Express will be paid by yourself. 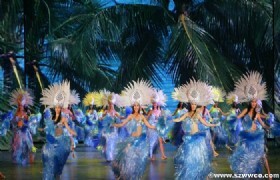 Rates are not available for Special holidays include: Christmas, Easter, New Year, Chinese New Year. Chinese Labor Day Holidays from May 1-7, National Day Holidays from Oct 1 to 7. Single supplement will be added only if you travel alone. After you have paid, we will send you a confirmation voucher. No refund for confirmed reservation, no refund for no show. Why? 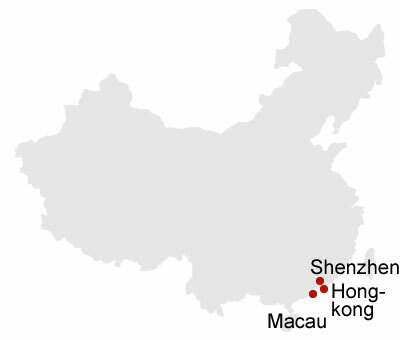 The hotels in Hong Kong will charge us 100% penalty if we cancel your reservation. If you have booked hotel room by yourself, you can also book our tour and airport to hotel transfers when you choose "Tour Only". Please first check our hotel pickup list. We pickup from many hotels. If you can not find your hotel in our list, we will recommend a nearby hotel to join in our tour. When you submit for "Tour Only", please tell us your hotel name and address on reservation.